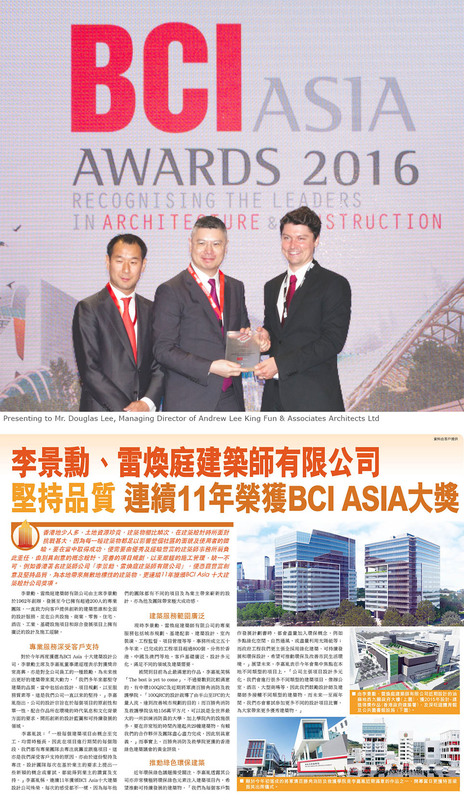 Andrew Lee King Fun & Associates Architects Ltd. is committed to its policy on design excellence in building and construction over the years and is awarded “BSI Asia Awards Top Ten Architectural Design Company” for 11 consecutive years. Our teams are dedicated to provide clients with the most personalized professional services, innovative design proficiency and efficient project management. We believe this approach will allow us to produce better innovative design ideas and more sustainable development objectives.